Create core questions. Every interview you conduct should be treated like a conversation. However, the firm should always enter the room with core questions that are asked of every candidate and/or specific candidates. If this is going to be a panel interview, all other panelists should contribute to this core list of questions. Combining similar questions into a group or as a series of questions can organize the flow of the conversation. Review the job requirements. Even if you think you know the requirements of the job, take the time to review the written job requirements. If you’re doing a panel interview, distribute the job requirements to all the panelists and encourage them to review the information. You may even want to highlight the most important requirements of the position, or non-starters. Knowing what is truly necessary for success in the role is a great starting point for interview preparation. Resume Review. In the days before the interview, review the candidate’s resume with an eye on the possible qualities that would make them a success. This is the time to also note any glaring holes in their experience and any other experience discrepancies. Take this time to prepare questions for clarification or more information on their expertise and background. If the interview will be conducted via an interview panel, ask all other interviewers to also review the candidate’s resume and list any questions, comments or concerns they may have. 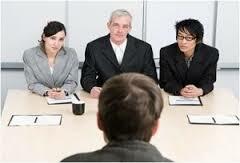 Preparing for your interviews will allow you to get the right information out of all the candidates. Subscribe to the Leopard Blog for discussions on law firm management, diversity, law firm insights, and other relevant topics.